Hello everyone! 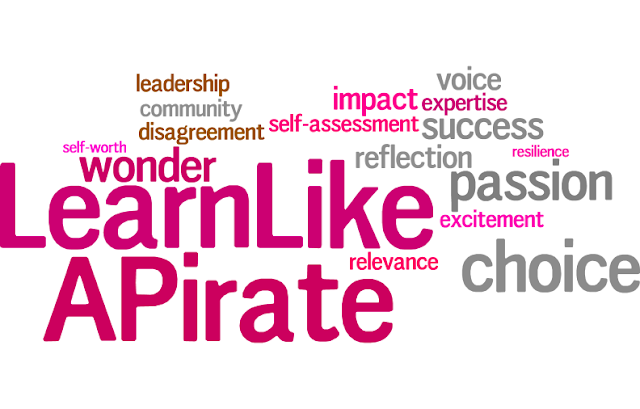 Welcome to our final chapter from our "Learn Like A Pirate" Book Study. I'd like to thank The Primary Gal for being such a wonderful host and organizing this. Today we are talking about Empowerment. My favorite take away from this chapter is: Empower Creativity with Maker Spaces! I am hoping to establish an Imagination Club with my class once my 2nd graders get used to being active learners and more independent. The purpose of this Imagination Club is to "empower kids to be kids and to make, create, design, and build!" Students would be completely independent in this endeavor: from the planning, to building, to even cleaning up after themselves. In this scheduled time, students would set goals, work towards them, and even experience setbacks. However, that's what life is about. Imagine the experiences and learning a 2nd grader could have from an Imagination Club! I am definitely excited to try this! Hilda - I enjoyed reading your posts throughout this book study! Thank you so much for taking the time to read, reflect, and record your thoughts for everyone to read! If you or any of your readers ever have any questions, please email me at psolarz@sd25.org and I will do my best to answer those questions! I will also be creating a FAQ page at learnlikeapirate.com in the coming weeks. Thanks again!! !